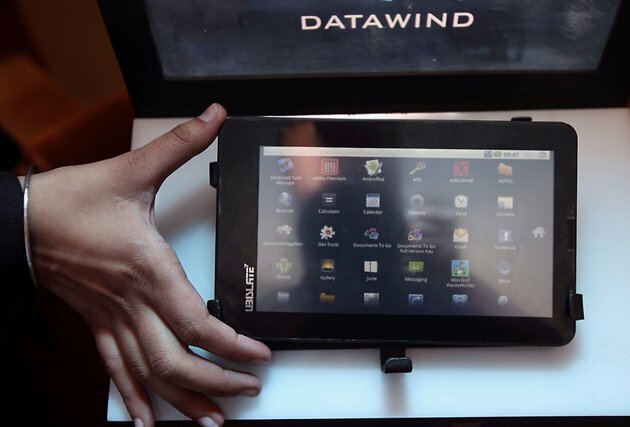 The Aakash is an Android tablet computer jointly developed by the London-based company DataWind with the Indian Institute of Technology Rajasthan and manufactured by the India-based company Quad, at a new production center in Hyderabad — under a trial run of 100,000 units. The tablet was officially launched as the Aakash in New Delhi on Oct 5, 2011. A substantially revised second generation model is projected for manufacture beginning in early 2012. The seven-inch touch screen tablet features 256 megabytes of RAM, uses an ARM 11 processor with the Android 2.2 operating system, has two USB port and delivers HD-quality video. For applications, the Aakash will have access to Getjar, a proprietary market, rather than the Android Market. As a multi-media platform, the Aakash project was beset by delays and setbacks. The device was developed as part of the country's aim to link 25,000 colleges and 400 universities in an e-learning program. Original projected as a "$35 laptop", the device will be sold to the Government of India at $50 and will be distributed at a government subsidized price of $35. A commercial version made in China will be marketed as the UbiSlate 7 at a projected price of $60. As released on 5 October 2011, the Aakash features an overall size of 190.5 x 118.5 x 15.7mm with a 7” resistive screen, a weight of 350gms and using the Android 2.2 operating system with access to the proprietary marketplace Getjar (not the Android marketplace), developed by DataWind. The processor is 366 MHz with Graphics Accelerator and HD Video Co-processor and the tablet features 256 MB RAM, a Micros SD slot with a 2GB Micro SD card (expandable to 32GB), two full-size USB ports, a 2100mAh battery, Wi-fi capability, a browser developed by DataWind, an internal cellular and Subscriber Identity Module (SIM) modem, using a power consumption of 2 watts with a solar charging option. The device features 3.5mm audio output and input jack. How can we order this AKASH tablet ?? Who should we contact ?? Delhi TGT Teachers Recruitment 2012.